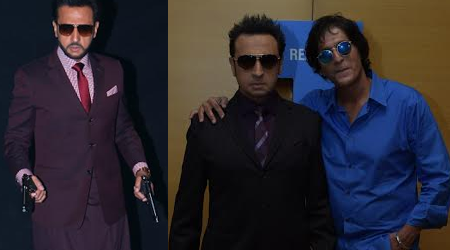 Rishi Kapoor, Jackie Shroff, Farah Khan to do cameos in Gulshan Grover’s next! After having entertained the audience for years together Gulshan Grover has now made an entrance into the digital entertainment world through his upcoming web movie- Badman. Badman is mad, comic webmovie where the legendary Badman Gulshan Grover relaunches himself in the film industry, but this time as a hero! To show their support for the legendary actor, numerous industry friends have come forward and done cameos in the movie. It will be a treat to see Rishi Kapoor, Jackie Shroff, Farah Khan, Shoojit Sircar, Sujoy Ghosh and Manisha Koirala. With hilarious delusional situations of the ‘young hero’ Gulshan Grover, Bad Man explores the dark yet funny side of Bollywood. It will also have Chunkey Pandey as the villian. Badman is written by Soumik Sen (writer, director of Gulaab Gang) & Anubhav Pal (leading comedian). It has also been directed by Soumik Sen. The music has been composed by the versatile Vishal Dadlani. The movie will be available on Viacom18’s brand new app- VOOT. Yuva Bhaskar: Rishi Kapoor, Jackie Shroff, Farah Khan to do cameos in Gulshan Grover’s next!